If you’re looking to make some healthy changes to your lifestyle in 2018, Veganuary may be the perfect place to start. Veganuary is a charity initiative that challenges you to try a vegan diet for the month of January. Not only is this great for your health, but for the environment and animal welfare too. If you’re not used to a meat and dairy free diet, it can be difficult to come up with a Veganuary meal plan that is both delicious and varied. 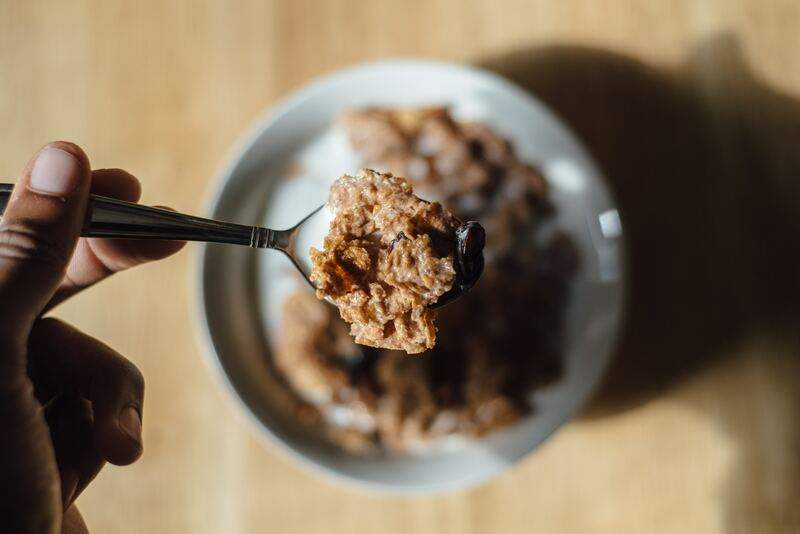 Breakfast helps to set you up for the day, which is particularly important when you’re making significant diet changes and adjusting to vegan nutrition. To help you kick-start your vegan challenge, we’ve put together our top 5 vegan breakfast recipes that are easy, delicious and nutritious. Bircher muesli, or overnight oats, is a great on-the-go breakfast option, and comes packed with wholegrain goodness. Simply grab a serving of oats, add your favourite dairy-free milk or yoghurt, along with any extras that you like - think seeds, nuts and dried fruits. Combine in a jar or tupperware, and leave in the fridge overnight. By the time morning comes around, you’ll have a delicious, creamy breakfast waiting for you. Break tofu into pieces and add to pan. Cook the tofu for around 5 minutes, until it starts to become golden brown, breaking up larger pieces with your spatula. Add the garlic powder, onion powder, turmeric and salt and continue to stir over medium heat until these have been absorbed. Serve on its own, or with wholegrain toast. Toppings of your choice - chia seeds, raspberries, granola etc. Combine all ingredients together and blend until thick and smooth. Pour into a bowl, and add your toppings. Dive in with a spoon and enjoy! Add wet ingredients and stir until just combined. Cover and leave to thicken for 10-15 minutes. Dollop mixture into a lightly oiled non-stick pan over a medium heat, and flip when bubbles begin to appear on the surface. Cook for another 3-5 minutes. Just because you’re foregoing meat for January, it doesn’t mean that you have to miss out on breakfast classics. There are a wealth of vegan meat alternatives, including delicious meat and dairy-free sausages. Swap out your usual breakfast sausage for a vegan alternative so you can still enjoy a hearty breakfast sandwich. These tasty breakfast options will help you to keep your diet varied during Veganuary, and ensure you’re getting all the vitamins and nutrients you need to support your body’s needs. If you’d like a little extra boost, consider adding a supplement to your daily routine. We have a wide range of vegan dietary supplements so you can stay on top form no matter what your dietary requirements are. Find out more about our vegan suitable ranges here.